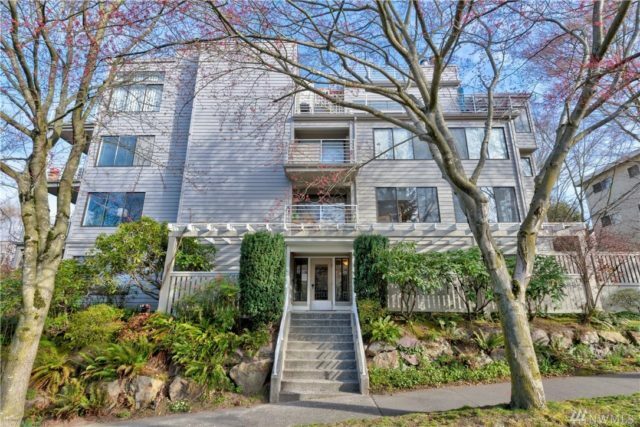 This elegant, historic Queen Anne embraces you with details evocative of a gentler age. This is a great example with the turret, Victorian moldings, fussy details and heavy ornamentation. This is an important piece of Seattle’s history, as this lovely lady is the William H. Thompson House, a prominent landmark registered with the Historic Society (1894). Thompson was a Seattle attorney who acquired the house in 1897 and resided there until 1917. He was general counsel for the Great Northern Railway and a published poet and writer. 4BR and 5 bath 5000 sqft mansion on Capitol Hill. 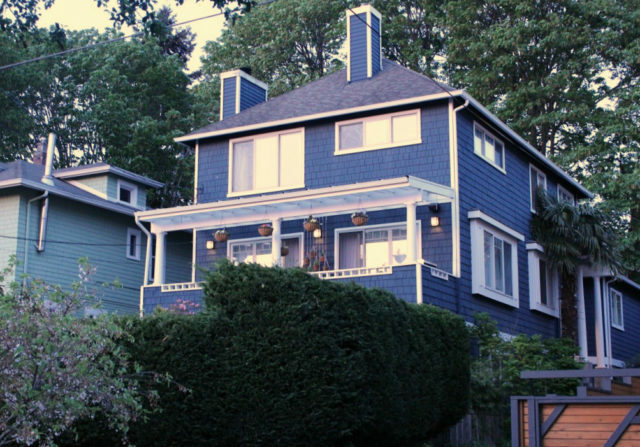 This is a typical Seattle box/four-square style with bay window, corbels under the main windows, built-in window seats, fabulous front porch for people-watching, elegant lines in the chimney and other turn-if-the-century details. 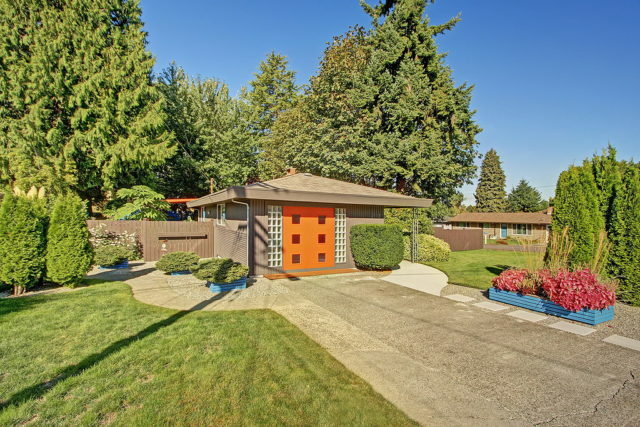 This home sits smartly on a corner lot, just steps from Volunteer Park. It’s a great example of a four-square home. Significant, rich 1911 true Arts and Crafts architecture intact. Large front porch with typical heavy posts, large eaves for shade, simple and clean lines, large windows and simple trim free of excess ornamentation. It’s doubtful that the home was painted when it was built. It was probably unpainted brick and wood with a shellac finish. A good example of typical 1920’s architecture, a dutch colonial revival, complete with non-functioning shutters, purely for decorative purposes. Heavy moldings, hardwoods throughout. Typical architecture for the 1930’s, a romatice light-filled Tudor with newer updates. Arches, coved ceilings, mahogany trim and woodwork, leaded windows, beautiful old world tile on wood burning fireplace. Hardwoods on main level. New kitchen with granite counter-tops/gas stove/stainless appliances and eating area. 4 spacious bedrooms/big closets & lots of storage. 2 lovely redone baths. Spacious home in Madison Park nestled behind Broadmoor Community. Home is situated on a 5400 sq. ft. lot with 4 BRs, 3BAs, hardwood floors, fenced yard, street to street lot with ample gardening space. This is a very traditional beveled siding Cape Cod styled home with formal spaces, very typical for the 1940’s. 3BR/2Bth 1600+ sqft. A perfect Mid-century classic with the soaring ceilings and indoor/outdoor spaces you’d expect in a house of this vintage. Walls of windows, a typical garage in front with carport, cork floors, sandstone fireplaces, unique window placement make this a prime example of mid-century modern home design. Unless they were purposely-built reproductions of past styles, 1960s-built homes were simple, modern, light, and generally without much ornamentation. Architecturally-designed homes might have high or angled ceilings, walls of rustic paneling and a sandstone fireplace, hardwood floors and lots of windows. Tract homes might have lower ceilings and have tendency for smaller rooms. 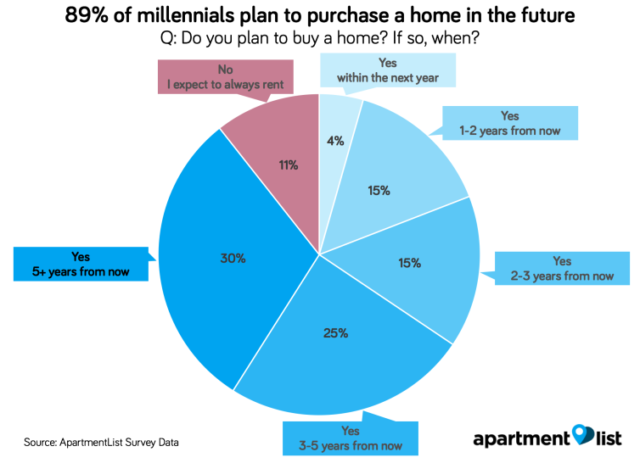 Homes styles popular in the 1970s have not weathered well for todays stylish home buyers. Popular modern styles built then were the Ranch Home and the Split-Level. Split-level homes were some architects solution for large families, as they created separate living and sleeping and hobby areas throughout the homes. One would enter from a main door with one set of stairs going up and one going down. There was a lot of experimentation in the 1980s, with some architects spreading their wings to elaborate on the NW Contemporary style. Multi-level homes were popular and that was the decade we saw the rise of Oak a la the Fern Bar and the advent of European Cabinetry which was a nice term for laminated kitchen cupboards. 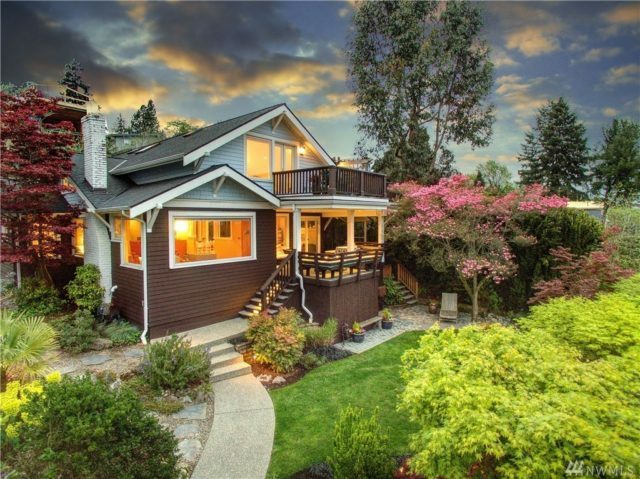 This home is located in the Matthews Beach/Cedar Park area and is a good example of NW Contemporary Design. It is about 2200 square feet and has 3 bedrooms and 2 baths. It’s very simple, some may say “sparse” in it’s minimalist approach. A better aesthetic for today would have placed the garage entrance in back if there was alley access, but this may have not been possible. Post-modernism was starting to make its appearance in residential styles. During the Modern Movement, the emphasis was on simple design and a rejection of historical styles and ornament. Postmodernism was a reaction to what was perceived to be boring and impersonal about modern architecture. Post-modernism is said to have began with Robert Venturi, as he advocated complexity and contradiction” over the uniformity and predictability. The new millennium appears to have abandoned Post-Modernism in an attempt to totally re-create the past with a faux Craftsman home on steroids. Some architects and design/build firms have increasingly began to mix and match ornaments that reference various periods from the past, often without regard to their symbolic meanings or origins. Ultra modern new const in the Glade. Offering soaring ceilings, architectural glass walls, expansive views & prof theater sound system w/multiple plasma TVs. The MIL suite is complete w/kit and laundry rm & adds to the flexibility of this floor plan. Extensive wood & metal work, X/large garage. Living space is oriented to enjoy the estate-like natural gardens & water features. Are you interested in architecturally interesting homes? If you are searching for an architecturally significant home, please give me a call or contact me to learn more. Interested in purchasing an architecturally interesting home? Please call or email me today. I’m glad to assist!